Dr. Parent is the only doctor performing LASIK in Northeast Indiana who has been selected by his peers as one of the “Best Doctors in America®” and listed as one of “America’s Top Ophthalmologists”. He is listed in the first and second editions of the Best Doctors in America Midwest Region. Dr. Parent has lectured nationally and internationally and has authored numerous medical journal articles on advanced cataract and refractive surgical techniques. He has also been involved in several approval studies for various cataract surgery devices. Dr. Parent is a diplomate of the American Board of Ophthalmology, a member of the American Society of Cataract and Refractive Surgery, an initial member of the Intraocular Lens Implant Society, as well as the Outpatient Ophthalmic Surgical Society and Society For Excellence in Eyecare. He is also a member of the Fort Wayne Medical Society and the American Academy of Ophthalmology. Dr. Parent has received the American Medical Association’s Physician Recognition Award. He has also participated in early scientific exchanges between China and the U.S., and has done teaching and humanitarian work in Guatemala and Honduras. For his frequent participation in medical humanitarian missions abroad, he has been presented a “Tribute from the Heart” award from the Military Order of the Purple Heart of the United States of America. If you would like Dr. Parent to speak to your group or organization about cataracts and intraocular lens implantation or laser surgery, please let us know. If arrangements can be made, he would be happy to do so. Dr. Zink is a graduate of the Indiana University School of Optometry, finishing in the top ten of his graduating class. Dr. Zink also completed a hospital-based residency emphasizing treatment of ocular disease through the Ohio State University School of Optometry. He is a past-president of the Northeast Indiana Optometric Society and a member of the Indiana Optometric Association. Dr. Zink volunteers at Matthew 25 Health and Dental Clinic. Matthew 25 delivers quality medical and dental care to people who would not otherwise have access to it. He has been on staff with The Eye Center of Fort Wayne since 1995. Dr. Zink has been a Senior Examiner with the National Board of Examiners in Optometry since 1998. The National Board of Examiners in Optometry is responsible for certifying all optometrists seeking professional licensing in the United States. Dr. Ponugoti is a board-certified ophthalmologist who graduated from Illinois College of Medicine in Chicago, Illinois. She did her internship at MacNeal Hospital in Oak Park, Illinois and her residency in Ophthalmology at the University of Illinois in Chicago. Dr. Ponugoti has been providing surgical services at The Eye Center of Fort Wayne since 2013. Dr. Ponugoti has extensive experience with cataract surgery, multifocal intraocular implants, toric intraocular implants and RELACS (Refractive Laser-Assisted Cataract Surgery). Dr. Paul Gill graduated from Indiana University with a Bachelor of Arts degree in 1989. He earned his Doctorate in Optometry at Indiana in 1993 and served six years in the United States Air Force under a Health Professions Scholarship Program. Dr. Gill is a Fellow of the American Academy of Optometry and an active member of the Northeast Indiana Optometric Society. He is currently a Trustee in the Indiana Optometric Association. Dr. Gill volunteers at Matthew 25 Health and Dental Clinic. Matthew 25 delivers quality medical and dental care to people who would not otherwise have access to it. He became an associate at The Eye Center of Fort Wayne in 1999. 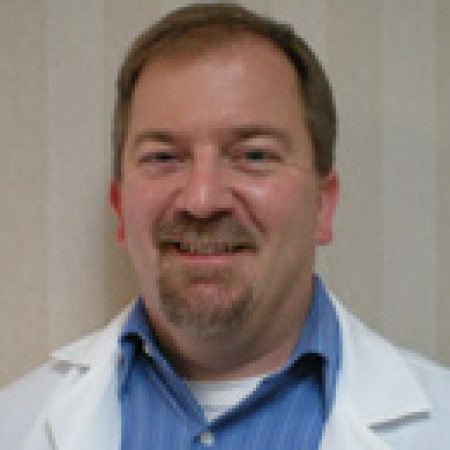 Dr. James French graduated from Purdue University in 1990 with a Bachelor of Science in Biology. He graduated with Honors from the prestigious Indiana University School of Optometry in 1994. He became an associate at The Eye Center of Fort Wayne in 2001. Dr. French is a native of Fort Wayne, graduating from Elmhurst High School in 1986. He lives with his two sons and daughter.